Where do you currently ship your apples? 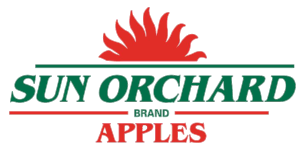 While we have a great group of valued local retailers, Sun Orchard currently ships our apples all over the world to domestic and foreign markets. No matter where you are we can send apples your way! Can I customer order any of your packaging items? (Requires proper lead-time based on customer’s apple variety choice and packaging preferences). Do you offer organic or kosher fruit? Unfortunately at this time we do not offer organic or kosher fruit. What varieties do you offer? Sun Orchard currently ships about 15 of the most popular New York varieties in multiple grades, sizes, and packaging options. Visit our Apple Variety section to learn more about our apples. How do I contact Sun Orchard? We can be reached via phone, email, snail mail, or stop by in person! Head over to our "Connect" page for full contact information. What are your food safety standards? We take food safety very seriously here at Sun Orchard, we got to great lengths to ensure a quality apple that is safe to eat for our end consumers. Every year Sun Orchard participates in 3rd party audits to ensure that we are employing the best industry practices in handling, packing, and storing our fruit to meet strict safety regulations. All employees at Sun Orchard receive proper training and certifications for their respective roles following strict policies to ensure a clean and safe production environment. Our facilities are routinely inspected, monitored and cleaned everyday to be well within our high standards of quality and safety. Have more questions and want to speak with us directly? Click the button to submit a retailer information form!